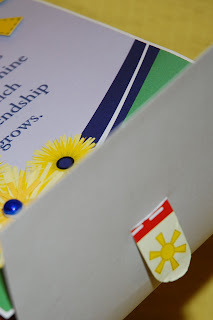 This weekend, Dear Hubby (DH) announced that the mailfemale (yes, a she) delivered a pizza, but really, it was a box just like one holding a pizza pie but (YAY!!) 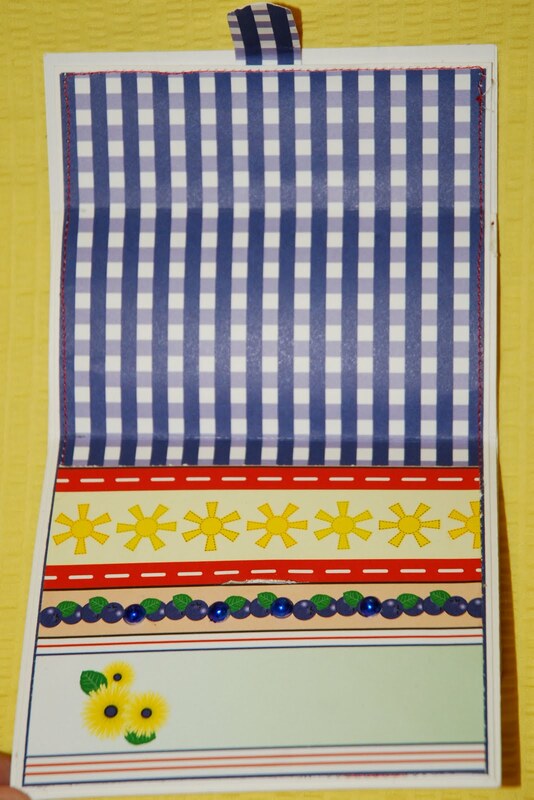 something I like much more: scrapbook paper! I'd won a terrific assortment of Nikki Sivils papers in a blog hop, at the stop of the fantabulous Cristi Burton at(www.scrappin5littlecupcakes.blogspot.com). 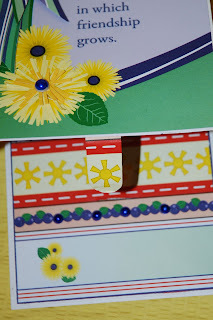 So I challenged myself to make some cards from these papers ... it wasn't hard to do! 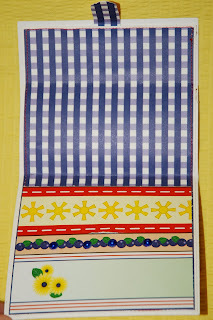 I ♥ these papers!!! 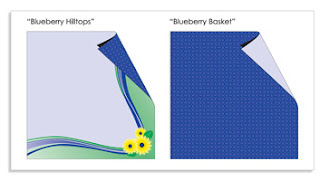 I used the first one (upper left), "Blueberry Hilltops", for the front of my easel card. 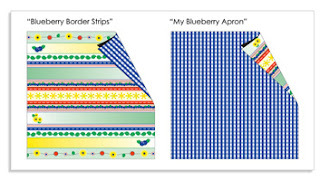 "My Blueberry Apron" (middle right) -- the blue gingham -- lined the inside. For the sentiment area, I used a snip of the "Blueberry Border Strips" (middle left), and I cut a sunshine for the front from "Blueberry Cut-Ups". 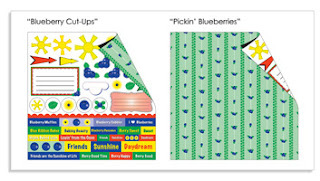 To give the front of the card more dimension, I cut additional pieces of the "Blueberry Hilltops" and made them resemble banners or streamers at the top left of the front of the card. 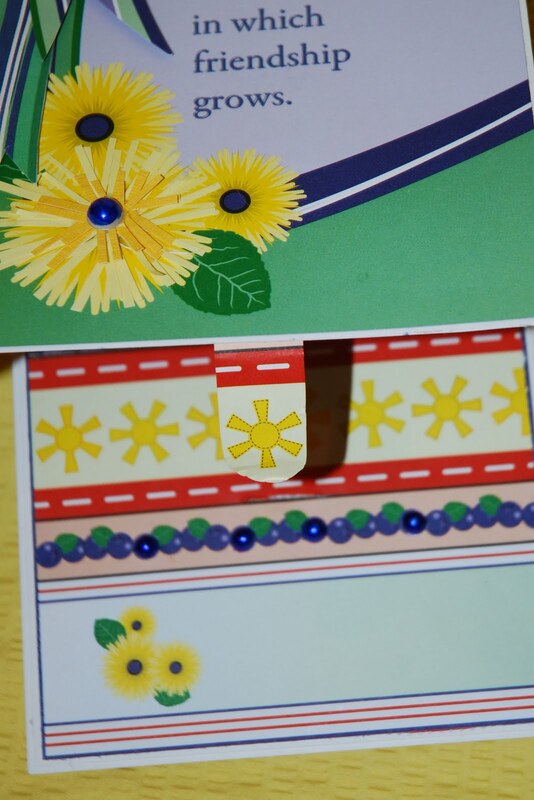 Flower snips in two shades of yellow were glued on top of the lower left (larger) flower; I topped it with an adhesive half-pearl that I'd painted with a navy blue Copic marker. Additional smaller pearls were put inside (as blueberries) to hold up the easel. Well, if it wasn't so BLINKIN' HOT upstairs in the PaperJungle, I'd stay up here to be creative tonight. But today, temperatures in the Philly suburbs neared a record 86 degrees ... and the Jungle gets the full afternoon sun. It's WAY too early for air conditioning, and my windows WERE open, and my ceiling fan was on. SIGH. I WANT my Spring weather!!! Such a cute card.I love the paper you chose. So beautiful!! Hi Ellen! 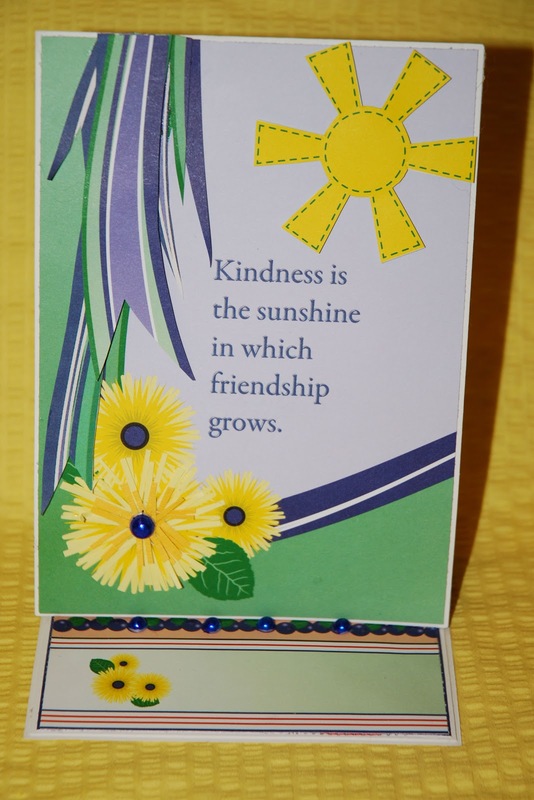 I love your sunny card. So excited to be part of the Tax Day Blues Blog Hop with you! I like your creative idea,, the results are beautiful cards! This is adorable, I am so glad you are enjoying your paper!! !